Patz > Why Choose Blue? 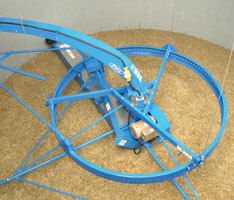 A Total Mixed Ration (TMR) combines grains, proteins, forages, and concentrates into a single mix. The ingredient amounts are determined by a nutritionist to provide optimum nutrition to the herd. Cows will get a consistent and steady diet, which will add to rumen stability and overall herd health. 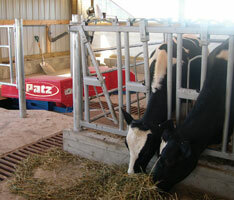 Having happy cows receiving proper nutrition means they will produce more efficiently. Having ingredients weighed when loaded into a mixer limits error in the ration, which will end up saving you labor and money. 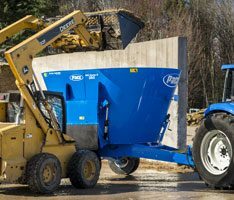 Patz Vertical Mixers are great to use when feeding a TMR because they are able to process large round or square bales of forage to incorporate into the feed. This offers a variety of fiber lengths that help keep the rumen pH levels balanced to keep cows at optimal health. Patz patented baffles inside of our vertical mixers create space for the ingredients to fall and mix together. Using a vertical mixer and scale to measure out ingredients assures that the ration your nutritionist wants is what your herd actually eats. 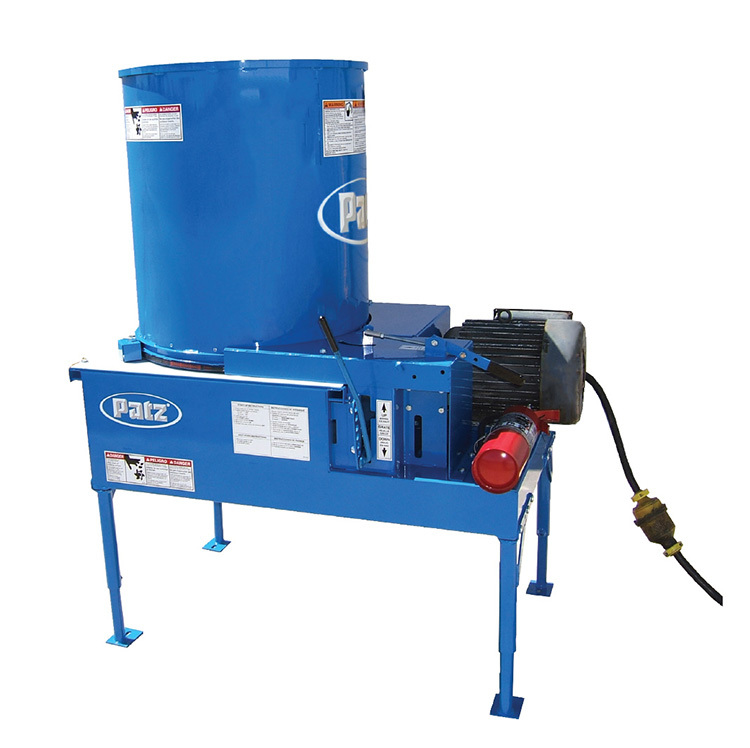 Patz has a variety of EXCLUSIVE mixing technology that helps to blend a TMR evenly. We offer a variety of options and add-ons both inside AND outside of the mixer to customize it for your operation’s specific needs. The screw type, Tru Taper™ or Vortex®, varies depending on the unit. The screw works with the patented baffles to aid in the mixing process. Each screw has a choice of top, either a cone top, or our multi-angle top. Patented RAPTOR™ Knives have a forward-facing design engineered to cut bales faster and more aggressively. Our patented tub mounted magnet provides peace of mind by removing metal from your TMR before it leaves the mixer. Patz vertical mixers have proven performance you can count on! SEEING IS BELIEVING! 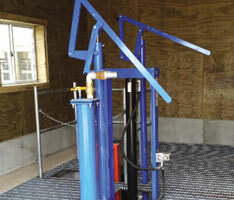 Contact your local Patz Mixer Dealer for a demo.